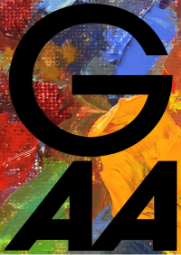 Since its inception in 1922, the purpose of the Glendale Art Association has remained consistent: To create and preserve beauty and to promote the appreciation of art. It's many dedicated members have striven year-after-year to provide opportunities for fellowship among those who are creators and appreciators of art and to encourage and advance self expression through visual arts for the benefit of it's members and the community. In 1922, at a fall meeting of the Eugene Field P.T.A., Mrs. Blanche Ballagh, Art Chairman, invited Mr. Harold Swartz, a noted sculptor, to speak on art in the schools. He suggested that paintings be hung on the walls for the enjoyment and education of the children, and thought artists might be glad to lend them for a time. Mrs. John W. Cotton, wife of the nationally known artist and etcher, promised an exhibit of watercolors by Mr. Cotton with the cooperation of the President of the P.T.A. and the Principal of Eugene Field (Central Ave.) School, the first art exhibit was held in Glendale. A short time later, Mr. and Mrs. Harold Swartz invited a number of art and civic-minded people to meet at their home, the old adobe on North Brand Blvd., then known as La Ramada formerly Casa Verdugo, for the purpose of saving the landmark as public park. At this meeting the "Verdugo Art Association" was formed with Blanche Ballagh as President: Mrs. L. B. Beach, Secretary: Mrs. D.A. Reichard, Treasurer: and Directors D.T. Rowley, John S. McGroarty, Alexander Mitchell, John Cotton and Mrs. Ella Richardson. A committee was appointed to contact city officials and form ways and means to raise $7,000.00 to purchase the property. After much hard work, the committee reported no response to their efforts to create interest in the project and the idea was given up. In January 1923 the group reorganized and changed the name to "Glendale Art Association." Its purpose: To create and preserve beauty and promote art appreciation. Mrs. Blanche Ballagh again was elected President: miss Annie L. McIntyre, Vice President: Miss Alice Ross Livsey, Treasurer: and Mrs. L.B. Beach, Secretary. Members of the Board were Mr. John W. Cotton, Walther Cheever, Alex Mitchell and Mrs. Julia Steelman Nichols. Meeting were held twice a month in the Juvenile Room in the basement of the Public Library. Artists were invited to exhibit their paintings and lectures were given on art appreciation to which the public was invited. The first birthday was celebrated with a banquet at the Tuesday Afternoon Club House on February 2, 1924. The Association participated in the "Buy a Picture a Week," now National Art Week. With the cooperation of the merchants paintings were placed in every store window on the Brand Boulevard. The organization fought for the preservation of the old eucalyptus trees on Lomita Avenue and on the property on Dorothy Drive which later was discovered to be the old California landmark, now the "Casa Adobe de San Rafael," purchased and restored by the City of Glendale. In the 1980's, GAA joined the Burbank Art Association, Eagle Rock Art Association, Glendale Foothills Artist's Guild and Verdugo Hills Art Association to form the 'local five". Joint meetings of the five art associations were held annually in the First United Methodist Church. Guest artists of national renown were engaged to demonstrate and entertain at these annual meetings. In 1989, GAA merged with The Glendale Foothill Artists' Guild, merging the local five organizations into four. GAA has participated with other local art associations in the "Gallery in Motion". Exhibits were held at 500 N. Brand Blvd., The Galleria and at The Exchange, as well as the 2016 San Fernando Valley Art and Culture Center Exhibition in Oxnard. The GAA met in the First German United Methodist Church from December 2001 to April 2011. As it has since its inception, the association arranged art exhibits for its members at various venues in Glendale and the surrounding areas each year and continues to do so; The Spring Member's Only Salon and the Fall Open Salon, plus other exhibition opportunities as they arise. In 2014 the place for monthly meetings was moved to the Citibank Community Meeting Room in Montrose and the association continued to support the community art environment by raising funds for Glendale Unified School District graduating high school student scholarships. Association members also continue to participate in plein air paint outs and in-studio live model sessions, and monthly artist demonstrations on painting techniques, artist materials and art venue representatives in the Los Angeles area. Glendale Art Association continues to grow and evolve, and in a few short years, will be celebrating it's 100th Anniversary. Come join us celebrate a century of the arts in Glendale!